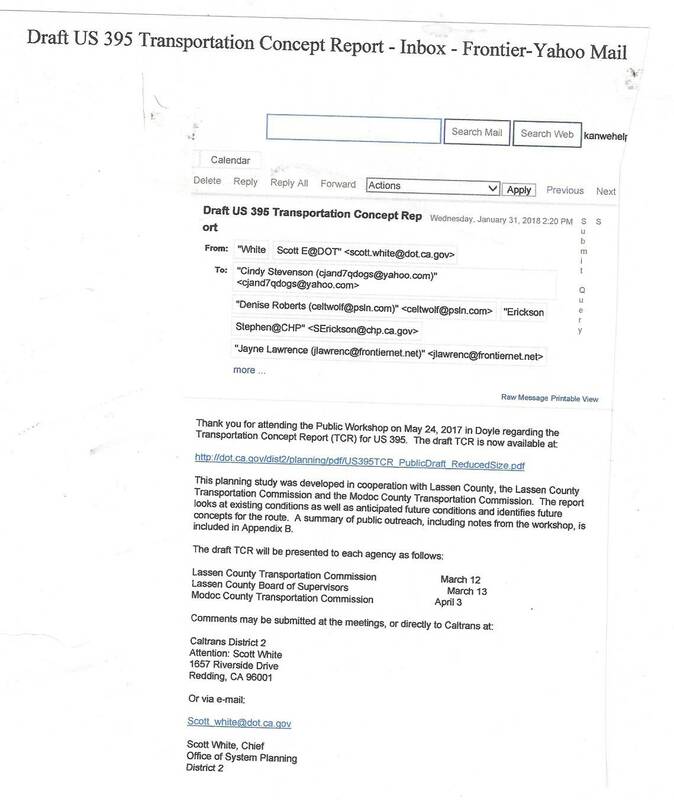 This is a draft of the Report that will be presented to the Lassen County Supervisors on March 13. 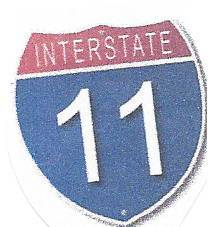 Lawmakers finally approved the new Interstate 11 corridor (2012 Surface Transportation Act) in June of 2012 and designated it as a priority. 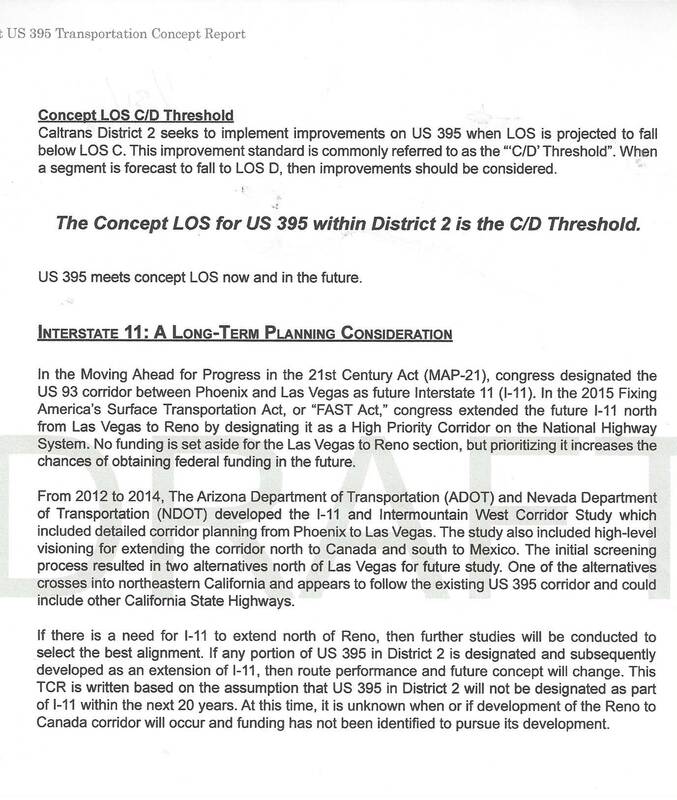 President Obama signed the Act but Republicans refused to fund this interstate highway project. 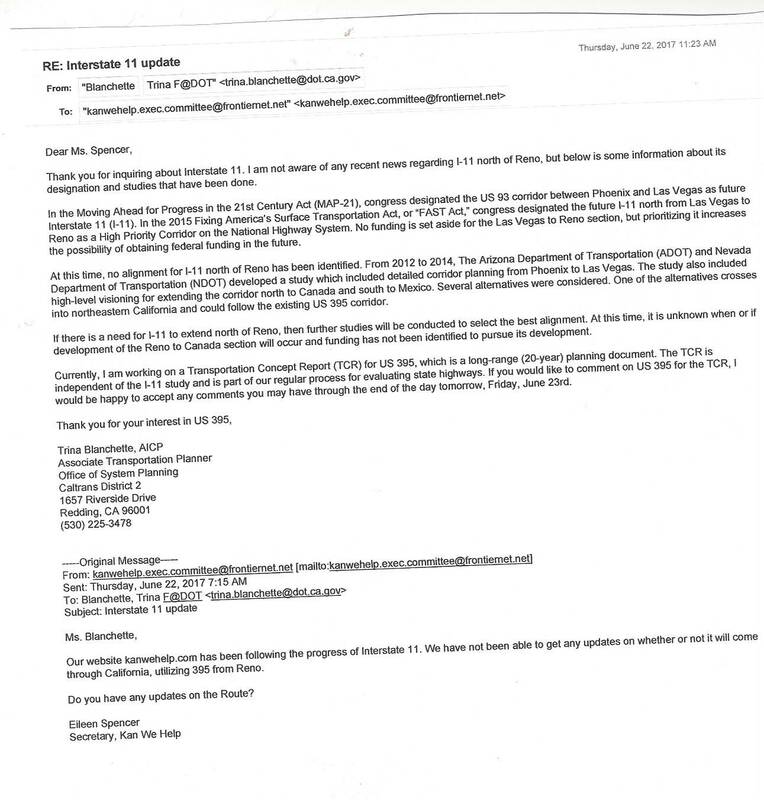 As of June 2014, the highway is still in the feasibility study phase. 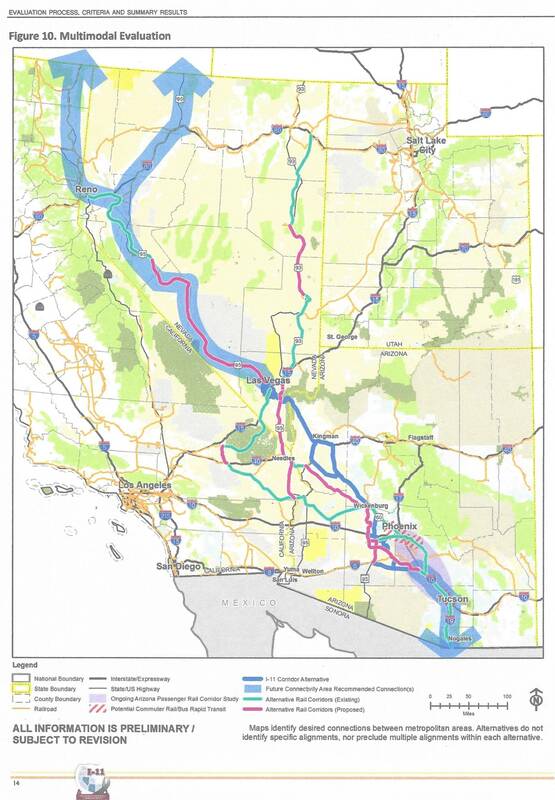 The preferred route looks like it will follow the existing 395 in California north to Canada. 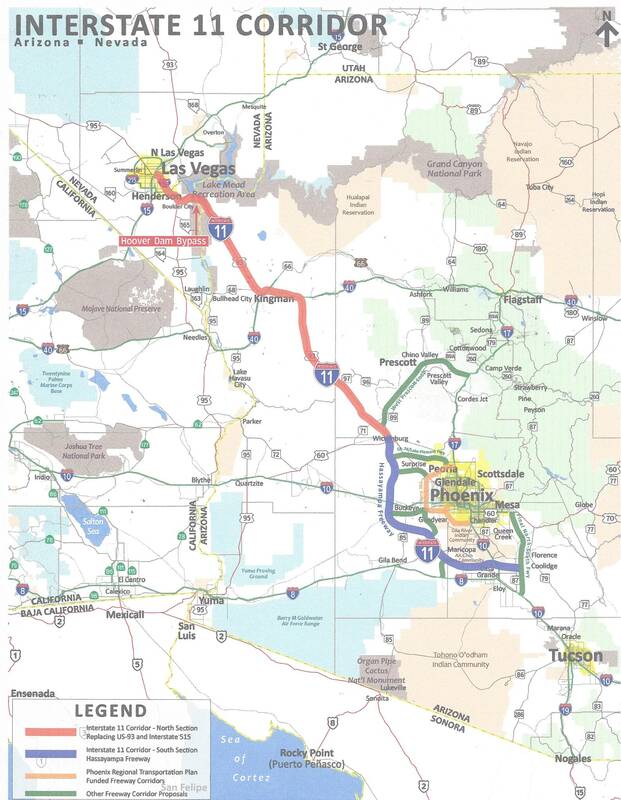 In anticipation of this new corridor being funded, states began improving bridges that would accommodate the new six lane freeway that would start in Southern Arizona and end at the Canadian border. The new Hoover Dam bridge [Mike O'Callaghan-Pat Tillman Memorial Bridge} was completed in October of 2010, in anticipation of handling the new Interstate 11 corridor. 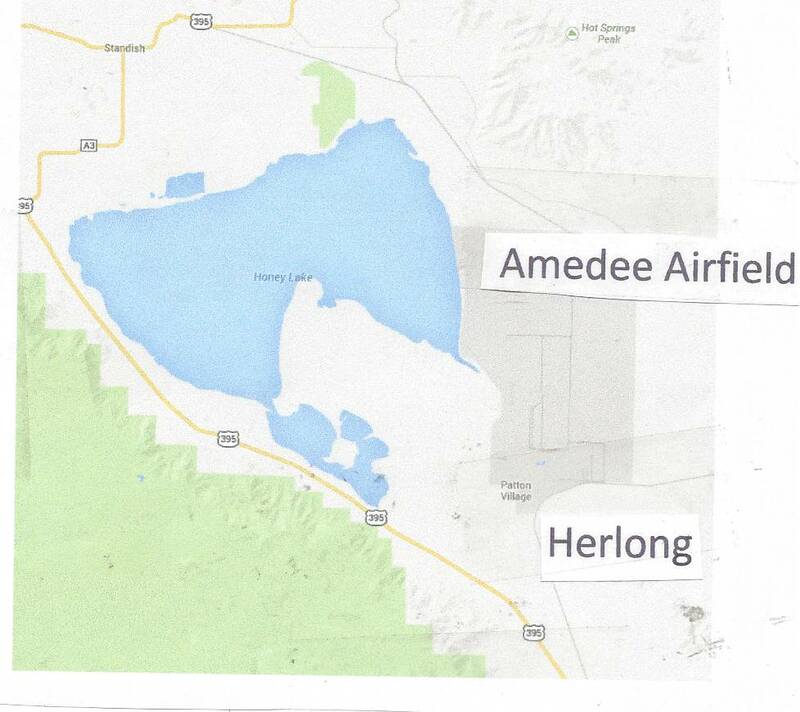 The question "of why" Lassen County is spending millions on new bridges along this proposed corridor may have been answered. 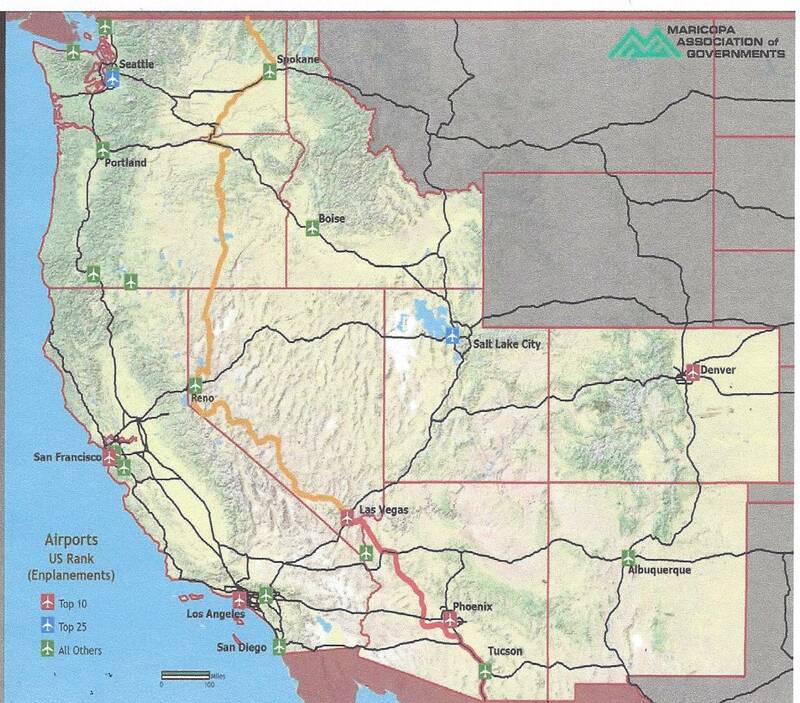 The I-11 is projected to serve as the United States long-term CANAMEX corridor with potential extensions south from Casa Grande to the Sonora border and north from Law Vegas through northern Nevada (through Reno) and onward through the California 395 to eastern Oregon and Washington. This would be an economic boon for communities along the corridor.